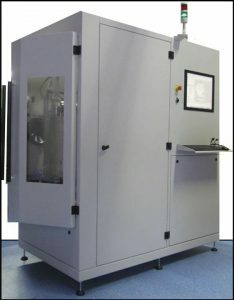 3D-Oxides develops processes and products based on thin film deposition technique by Chemical Beam Vapour Deposition (CBVD). The company presently owns 3 Sybilla 150 equipment from ABCD Technology, dedicated to up to 5 element co-deposition on 6 inch wafers. The principle of these equipments is patented by ABCD Technology which commercializes them exclusively. 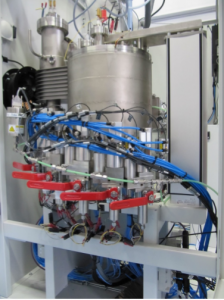 These CBVD equipments are equipped with a ingenuous gas delivering unit that allows to switch between a highly homogenous deposition mode and a large range of combinatorial modes. They are more over compatible with the use of shadow masks to realize 3D-structuring of the deposits during the growth. They can also be equipped with an irradiated beam in normal incidence to the substrate (either electrons or light).